Hello beauties!! Have a nice day! Today I'm gonna show you the full review about the sheet masks that I got of this last package from Skin18 (click here) if you want to know my sincerely opinion about them, please keep reading..
Esta marca tiene una línea completa de una mascarilla por día, en este paquete me tocó el sexto día osea Sábado y por suerte fue de mis frutas favoritas de la temporada, la granada <3 Según la descripción en la páginca esta mascarilla ayuda a devolver la vitalidad a la piel y proveerla de antioxidantes y energía, que se absorben pofundamente en la piel. This is brand with a complete schedule, you have to try one sheet mask per day, and this time I got the six day: Saturday. The main function of this mask is recover skin vitality and provide antioxidants and energy deep inside skin. I tried in first place with this because my favorite fruit of this season is the pomegranate XD This fruit is good for our skin because it has a lot of antioxidants. This mask feels so good in your skin, very refreshing for a long day and it smells delicious, something sweet but not too much. My full face was covered with it, and my skin look better the next day, more moisturizing and soft. The problem with this mask was the product, I have dry skin, so the products absorbs faster on my skin, but with this mask it was so hard to absorb :( And finally it feels sticky and if you don't like the sensation, you have to wash off with water. With other masks, the product abosorbs completely in your skin. Ahora esta mascarilla que igual es de una de mis frutas favoritas XD De acuerdo a la descripción esta mascarilla nos va a ayudar a refescar y darle vitalidad a nuestra piel. 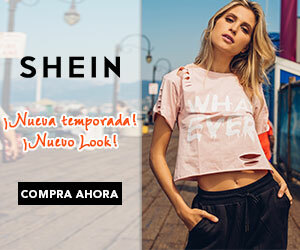 El extracto que tiene de moras ayuda a que la piel sea más suave y brillante, es perfecta para darle un toque de juventud a tu piel seca o cansada. The function of this mask is for vitality and freshness in your skin when you use it, Acai berry extract provides the skin with luster and softness, it can help for a younger skin. 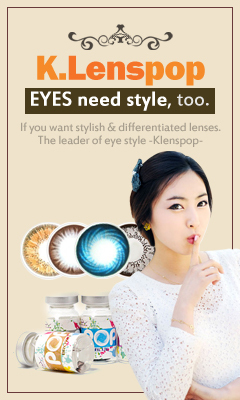 Is perfect for a dry or tired skin. 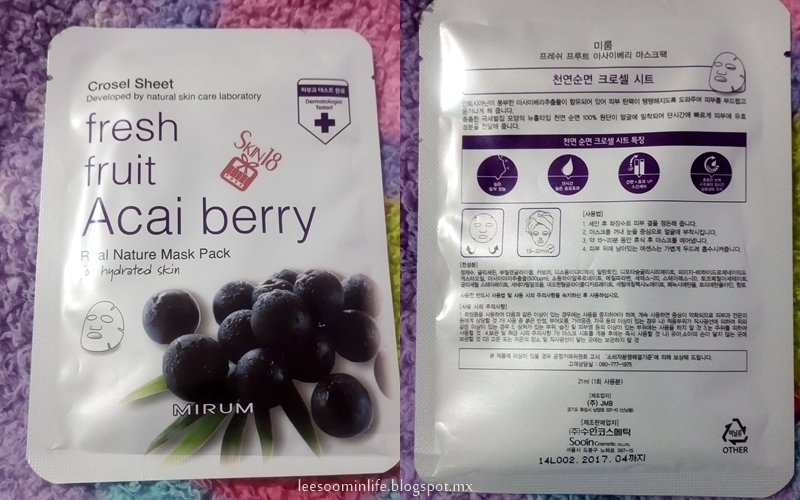 The second was this berry mask, this really surprised me with the smell and the texture of the sheet, is more thick than other that I've tried before, on the forehead the sheet doesn't cover all my face, but in the other zones was perfect. With this mask I feel the truly effect on my skin, I felt much better and more revitilizing, like a baby skin, so new so soft and with more elasticity. The product of this mask was totally absorb in my skin, I hadn't any problem with the product, it was really good for my dry skin. Y por último la mascarilla más kawaii que he probado, tiene impreso una cara de panda, su función es para súper humectar, aclara y efecto anti-arrugas en tu piel además de una limpieza profunda en tu piel. The last was this cute panda sheet mask, it function is extra moisturizing, whitening effect, anti-wrinkle and a deep clean of your skin. It was my favorite mask ever! It so cute the panda face on your face (?) XD The sheet is thick than other, you can handle with it easy, it has a lot of product inside!! The product is very liquid than the others, but it easily absorbs on my skin. It has a fresh smell, and you can feel the refreshing sensation inmediately, it has a relaxing effect on your skin, and after of 30minutes the product is absorb in your skin without any problem. I really love this mask, my skin looked much moisturizing, with more elasticity and soft.